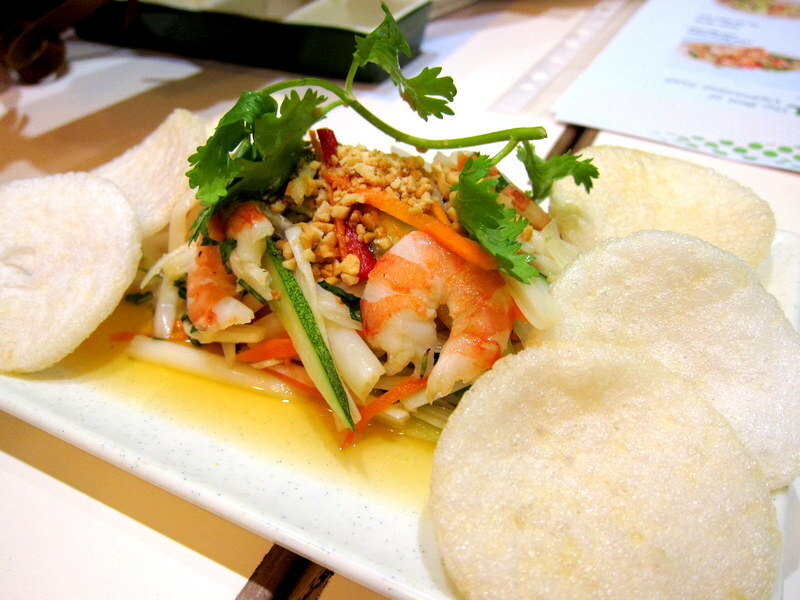 South East Asian (Singapore) – Simply foodolicious! おいしい! 好吃! 맛있는! délicieux! delicioso! 好食! While Parsarbella at the Grandstand models more closely after a Farmer’s Market that consists of a balanced number of grocery stalls and gourmet traders, the recent one at Suntec City functions more like a, if you would pardon me using the most layman term, a ‘food court’, albeit a more upmarket and hipsterish one. With 14 different stalls available all under one roof, you get a chance to taste a wide range of cuisines, spanning right across the globe as we start off from the hearty Eastern Korean Choo Choo Chicken followed by the Mediterranean Pita and Olives, then ending the journey at the States as you land yourself at Wolf Burgers or Cajun on Wheels. Which makes this a perfect dining place if the group couldn’t come to a consensus on a restaurant to hang out at. That, is the strongest point I reckon which Pasarbella is armed with – the epitome for an eclectic range of food. Choo Choo Chicken Riding on the current craze for Korean Food, Choo Choo Chicken managed to up the game with its Korean Seaweed rice that has the tangy, not overly-fermented kimchi sandwiched between which gave it a refreshing touch. All day sets available with fried chicken over here served in various flavours like soy, sweet, spicy, garlic, honey soy and sweet & sour. $12.90 for a set. This was apparently, the unanimous champion amongst all the other stalls that we have tasted, not because we are in for the craze (you know Korean isn’t my favourite). Mad Dogs Bar & Grill Beautifully braised that the meat falls off the bone effortlessly. However, the only gripe could be the oilier base it is served in which could potentially stop me from having another piece. Angus Ribeye ($25, 200g); Grain-fed sirloin ($18, 200g) and Pork Chop ($18). Squeezed! At Squeezed!, not only do they serve cold-pressed juices that have all the vitamins retained, lovely toasted brioche buns filled with the tasty savouries could also be found here. $4 for the toast. Soft fluffy bun, with thick patties sandwiched between. This could be a popular grub for the hungry CBD people. Cajun on Wheels Louisiana-style seafood cuisine served here presented in buckets of fresh crabs, mussels, clams and prawns, along with a serving of fries and cajun sauce of your choice. Rollie Olie A more playful Japanese place it claims with the more vibrant colours that don’t adhere strictly to the rules for a Japanese presentation; looking and tasting more fusion with American inspired sauces. Their highlights: Sunkissed Salmon roll (from $16.95) and Dos Amigos (from $14.95). Pita & Olives The only mediterranean stall in the premise, Pita & Olives does indeed serve up freshly baked pita bread; fresh ingredients such as olives, tahini, chickpeas to create the wholesome Kebabs, Falafels etc. And we love that smooth hummus there in the centre. 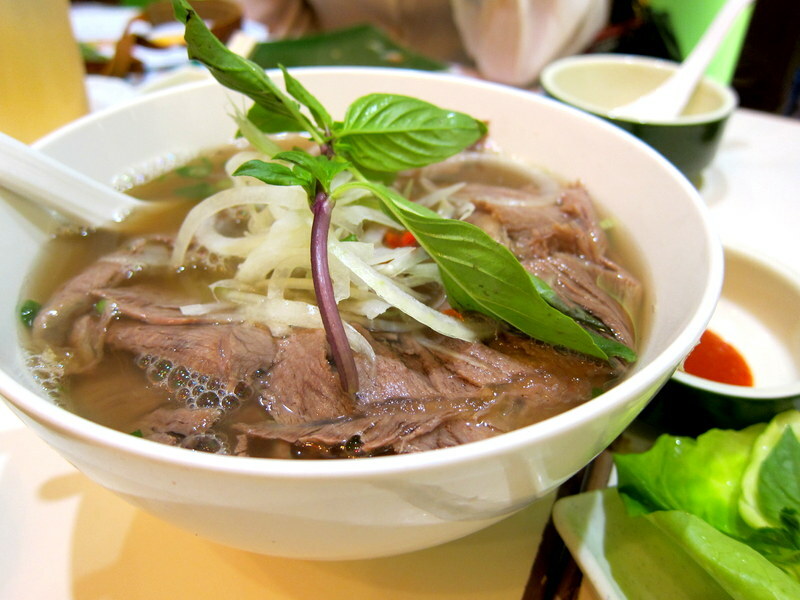 An An For some Vietnamese Street Food, An An serves quite a spread, such as the Beef Pho, Spring Rolls and Salad. 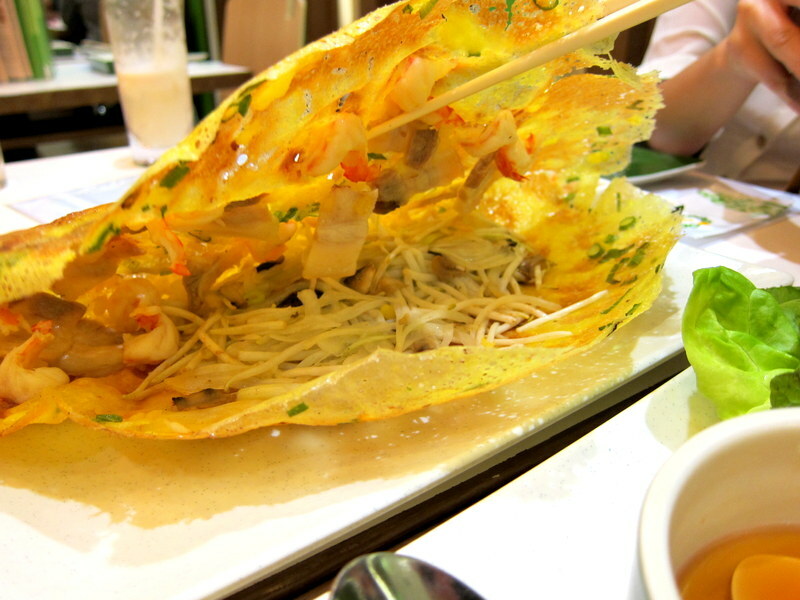 And they will be launching their Soft Shell Crab Pho soon which isn’t on the menu yet. Beef Pho set ($12.90). Grillo With the concept of donburi in mind, Grillo has decided to incorporate grilled seafood and seasoned meats on top of their rice bowls for a fuller meal. Menu highlight: The yuzu salmon Bowl with a house made slaw at $12.90. Sarnies The spot for your caffeine fix which also serves up pastries and sweet treats. 4 other stalls not tried, but that 10 was enough to send us home with a stuffed tummy. As for the quality of the food, hits and misses were as expectedly, prevalent which, given the benefit of doubt, may not be representative of the actual standard as some of the dishes were already pre-prepared to cater to the large crowd that night. 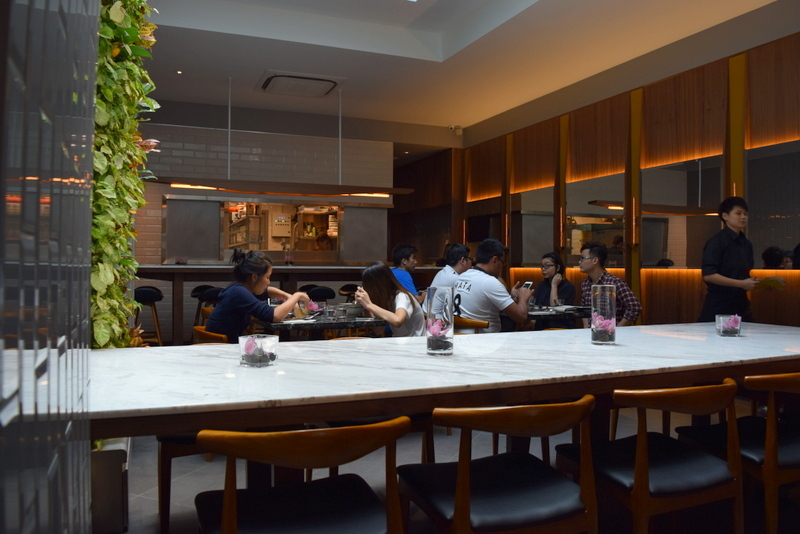 Reviews equally split on their first principal branch at the Grandstand, it would be interesting to see how this second one fares as the traders over here seem to be serving up better quality food at an O.K. price. Thank you Tessa for the invitation! May May – May I serve you a delicious rice bowl please??? Served in a Japanese donburi (Rice bowl) style, May May restaurant has beautifully created several sleek yet appetising rice bowls for the CBD lunch crowd which are all reasonably priced at. Choosing your mains or desserts may have never been so simple as they try to keep both their lunch and dinner menus small literally, filling up just a single side of an A5 page. While dinner is slightly more expensive (as with most restaurants) as they serve the more premium dishes such as ribeye etc (which are all in the thereabout of $30-ish), the lunch bowls were evidently very economically priced. Starting from $12, you could opt to complete it as a set which comes with a drink and salad by just topping it up with another $3. And naturally, the set was chosen! I always have the misperception that Vietnamese food is bland, boring and when given a choice I would choose Thai over Vietnamese anytime! But after yesterday’s educational session with Jascintha, I realised that I was totally wrong and Viet food does have her own character and could potentially be as addictive as Thai food. Would like to first thank Jascintha for the really heavy and delicious meal at Wrap and Roll. Restaurant looks empty as it was already 10pm by the time we finished our last course. Succinctly, Wrap & Roll has three outlets in Singapore currently, namely at Star Vista, Ion Orchard and Kent Ridge while the 4th outlet at Changi City Point will be due to open in Jan 2015. So Easties, you will not be left out. 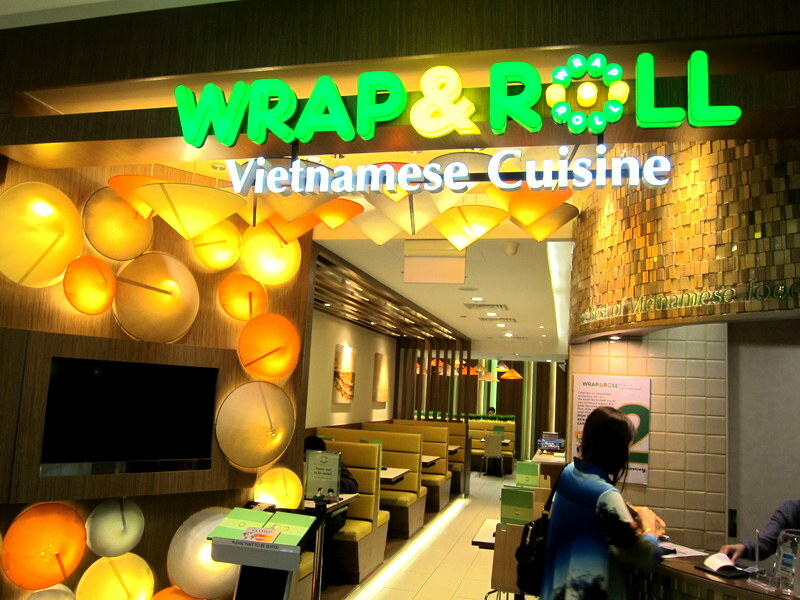 Wrap & roll originated from Vietnam and was awarded the top 100 Vietnamese Restaurant 2012 in Vietnam by Delicious Magazine and Best Vietnamese restaurant chain 2010 by Vietnam Tourism Board. With such compelling accolades, it is no wonder that I was thrilled by almost all of the dishes that I tasted there yesterday. It is really heartwarming to know that Wrap & Roll puts in a lot of effort when crafting their menu, so that they do not leave out any signature cuisines from Ho Chin Minh, Huey and Hanoi. That essentially covers the whole strip of Vietnam. Alright, I tried one of the newer drinks on the menu and got the freshly ground pomelo juice for $4.90. 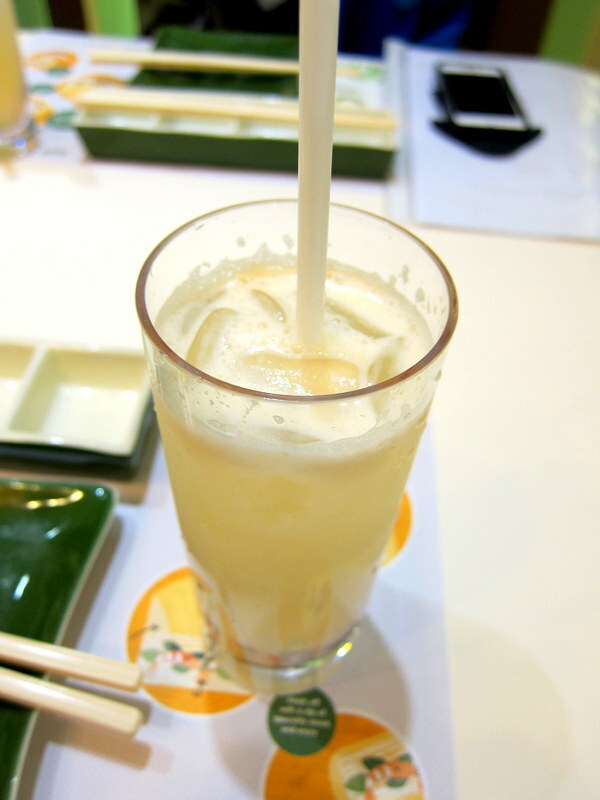 It tasted really refreshing, slightly sweet, acidic and citrusy. It makes me wonder how many pomelo pulps would they need to grind to produce a rich glass like this! 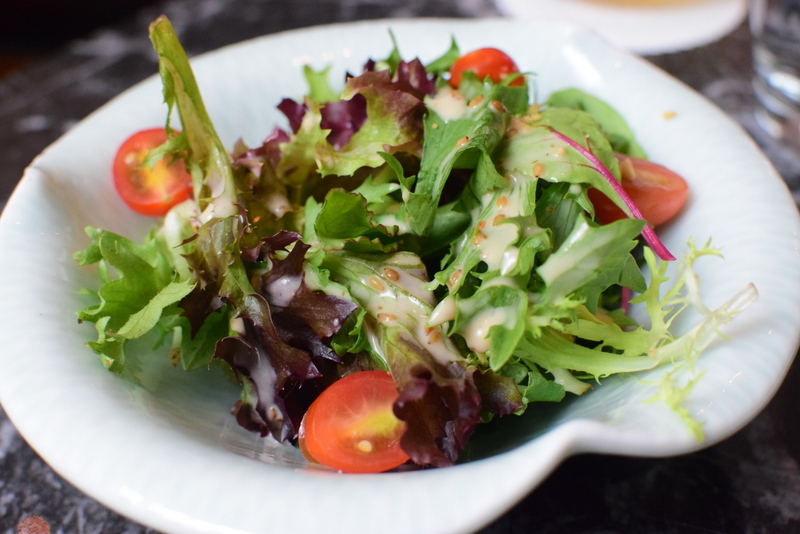 To kick off the meal, we got the Lotus Shoot Salad for $8.90. Forget about the seemingly safer mango salad on the menu and dive straight into this lotus shoot salad as I am sure you will definitely not regret it. Really fresh, crunchy and slightly springy shoots would ignite your palates and when eaten together with the keropok, this dish was impeccable. It has a slight chinese rojak after taste as fish sauce is used and I like that. 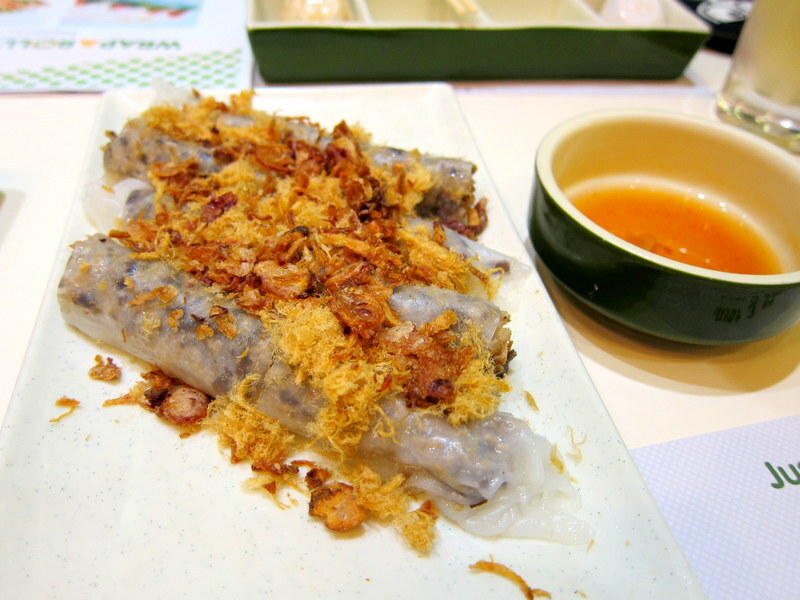 Minced Pork & Mushrooms Steamed Rice Crepe Rolls. $8.90. Sounds like Char Siew Cheong fen? This is an even meatier rendition topped with fragrant, crispy shallots and pork floss. 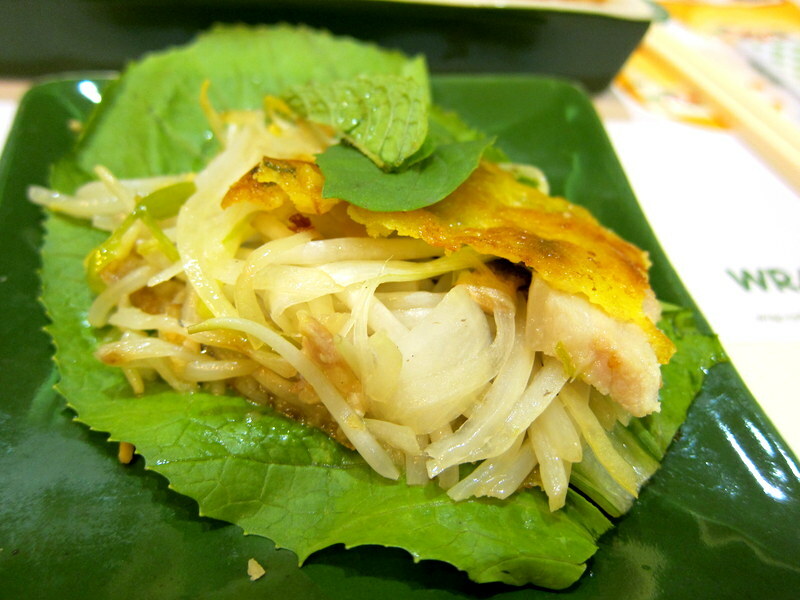 Rice wrap was thin and slithery while there is a substantial amount of fillings in it and its taste is completed with the fish sauce. On top of its fragrance, the mushroom bits in it also add an additional chewy texture to this dish. Delicious! Grilled Pork in Steamed Rice Paper Rolls. $6.90. The tender fat piece of pork is wrapped together with basil and mint and that helps to make it into a lighter refreshing yet savoury roll. Love the charred aroma from the pork and there indeed is a very good balance of tastes over here. Very addictive indeed. 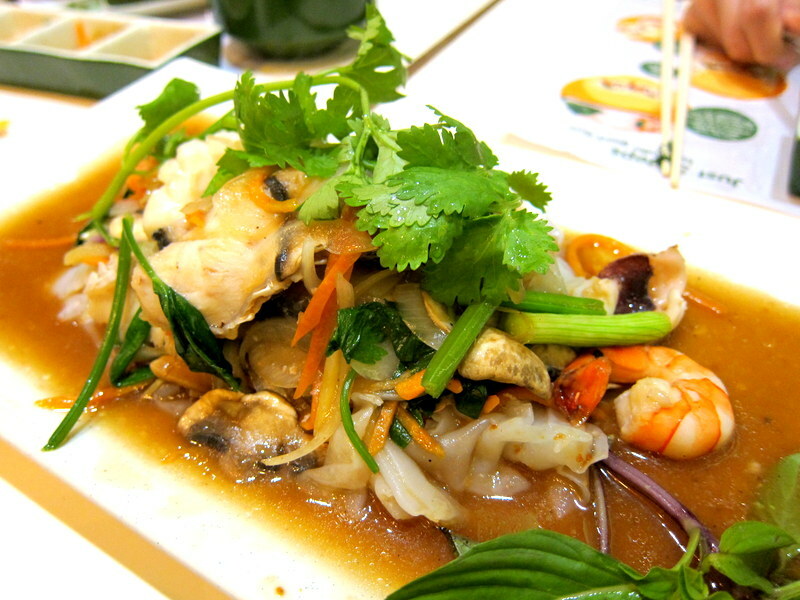 The Roll It Yourself Dish consists of delectable stir fried bean sprouts, mung beans, prawns and mushroom. The yellow pancake like thing isn’t an omelette as it’s too crispy to be one; instead it is an interesting mix of rice flour and tumeric powder. You could wrap them all up with the slightly pungent mustard leaf and topped it up with the refreshing basil and mint leaves to bring out the freshness of the fillings. $15.90. Very delicious ‘wrap’ over here indeed! And yes, after all the wraps, we had some noodle action. Pho Beef Noodle Soup for $12.90. If you want to make it more savoury and slightly spicy, then add in the soy bean and sriracha sauce served by the side. Noodles were slightly Q and large, tender beef slices were served together with it while the soup is painstakingly boiled with herbs such as cinnamon and star anise. Very good bowl of beef Pho over here. 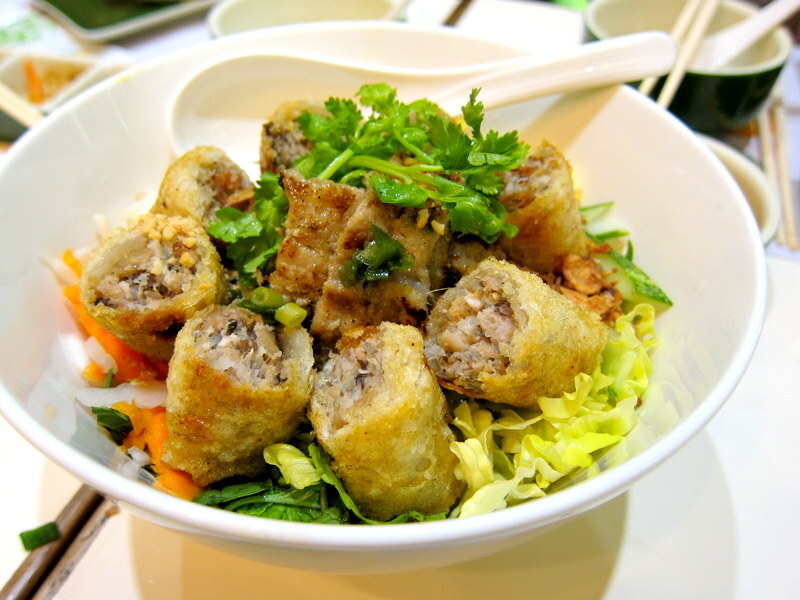 Rice Vermicelli with Grilled Pork & Deep Fried Spring Rolls for $11.90. Noodles served here were the mee kia kind of noodles and totally different from that of pho. 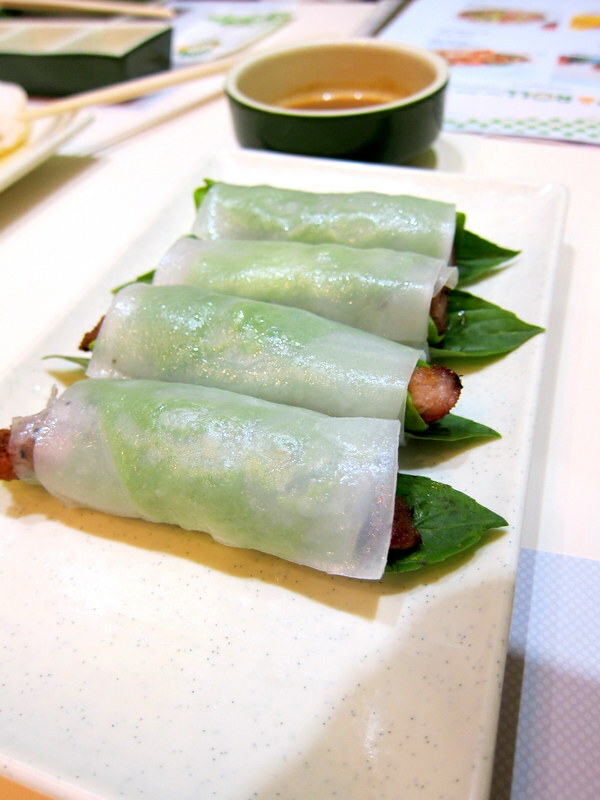 The tightly wrapped spring rolls consist of Minced pork with mushrooms and fungus which kept bursting with flavours on every bite and the caramelised pork treasure hidden beneath makes this dish even more filling and flavourful. A disclaimer though – we were given more spring rolls as there were four of us devouring it! 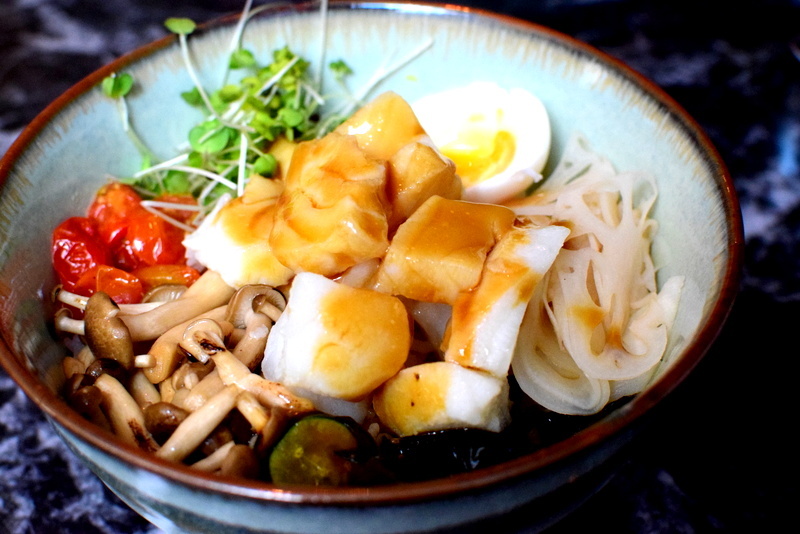 Coming from the Hanoi Region that shares its long border with China, this stir fried seafood noodles indeed has quite a lot of oriental elements. Nevertheless, it was a very fragrant plate of what we like to call it “hor fun” as it has the addictive wok hei in it and seafood was definitely fresh and delicious. 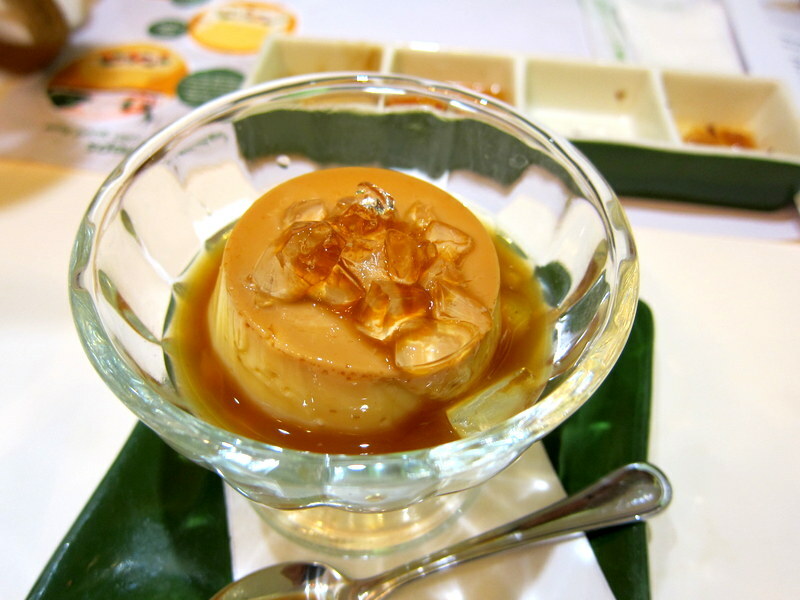 Egg & Milk Flan Pudding with Vietnamese Coffee. $4.90. This tasted like milk pudding with coffee aroma in it. Milky and creamy, it would have been better if it has a stronger coffee punch! Apology for the half eaten Coconut Jelly. 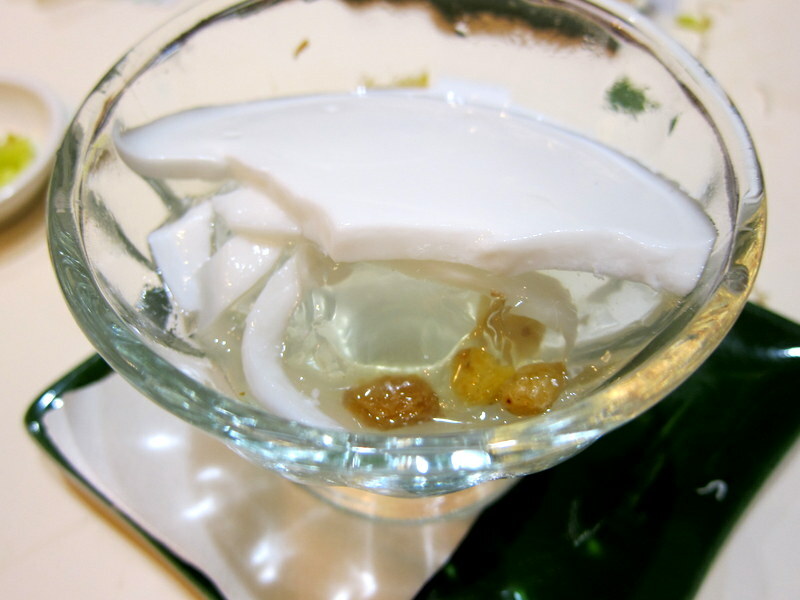 The thick layer of fragrant coconut pudding on top makes this jelly really fragrant while the sweet raisins make it even more fun to eat. $4.90. And yes, that was the grand tour of our Vietnamese night at Wrap & Roll. After trying their signature rolls, noodles and salad, I realised that Vietnamese really love to balance their otherwise heavy tasting mains or meat with the more refreshing leaves while their clever use of interesting sauces complements and enhances the overall taste of every dish. Wrap & Roll has indeed taught me that light tasting dishes can still be marvellous and lip smacking and I really have to thank Jascintha once again for the invitation! So, if you are still having any queries about Vietnamese food like me, try this and you most probably would change your mind!